Scott joined our team in 2008. As a Wealth Management Sales Assistant he assists advisors with comprehensive financial and investment planning, insurance and estate plans. He also helps to develop and implement marketing projects. 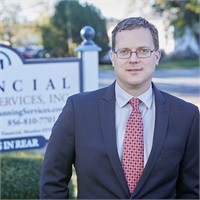 Before joining us he worked for Summit Financial in Parsippany, New Jersey after earning his BS in Finance from Fairleigh Dickinson University. He enjoys watching and playing sports, and spending time with his friends and family.